If you haven't noticed by now I love cooking traditional dishes that my mother would cook when we were little. One dish that I absolutely loved coming home to was tostadas. I never realized how easy it was to make them until I started making them for my family. We all enjoy them especially me. 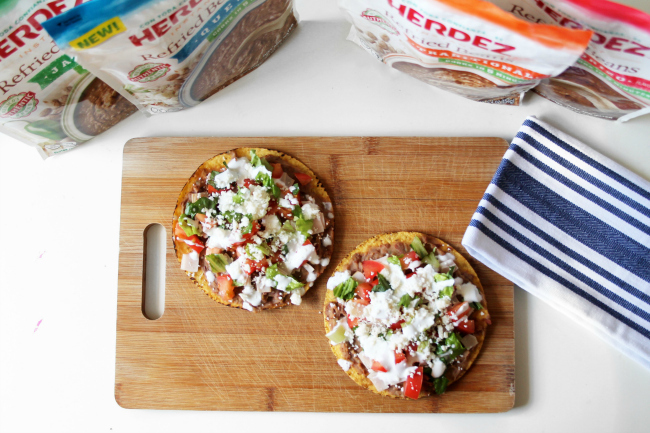 HERDEZ has made Tostada night quick and convenient for this mama. My beans cook in 5 minutes, it takes me another few minutes to chop everything up, I prepare the tostadas and everyone enjoys. I recently started purchasing these because they are NEW in stores. 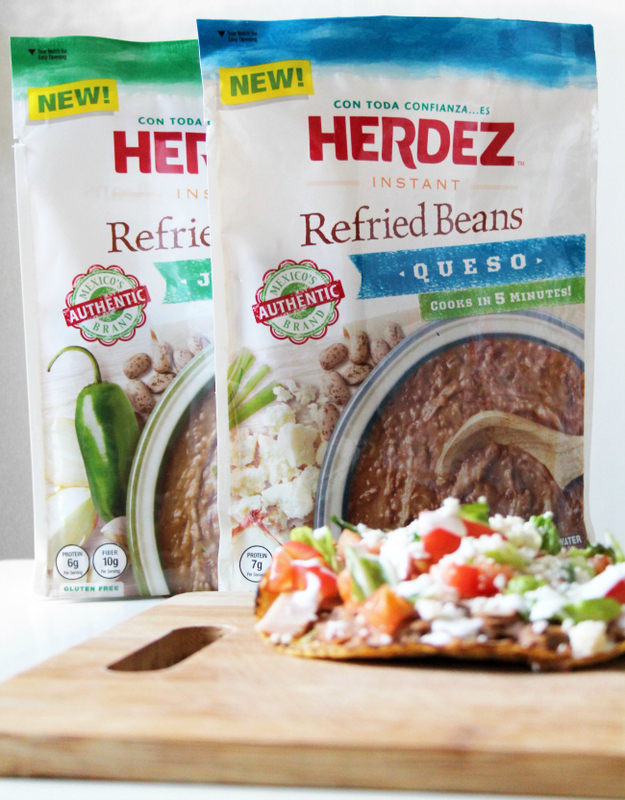 HERDEZ Instant Refried Beans come in four different flavors: traditional, jalapeño, queso and chorizo. 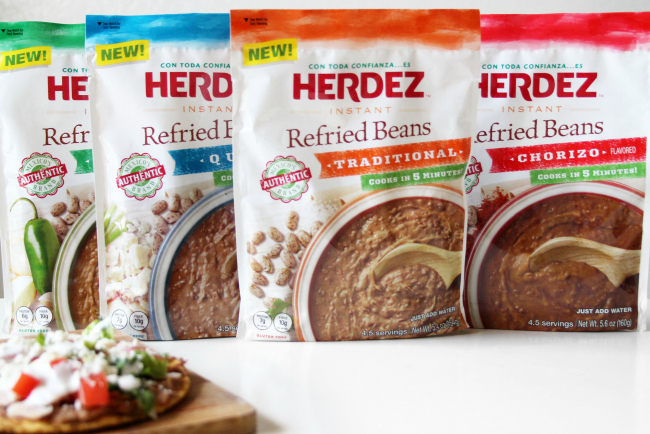 You can find HERDEZ Refried Beans in the bean aisle of your local grocery store. Prepare your beans, just follow the instructions on your bag, but it only takes 5 minutes for them to be ready. Chop up all your veggies and meat. 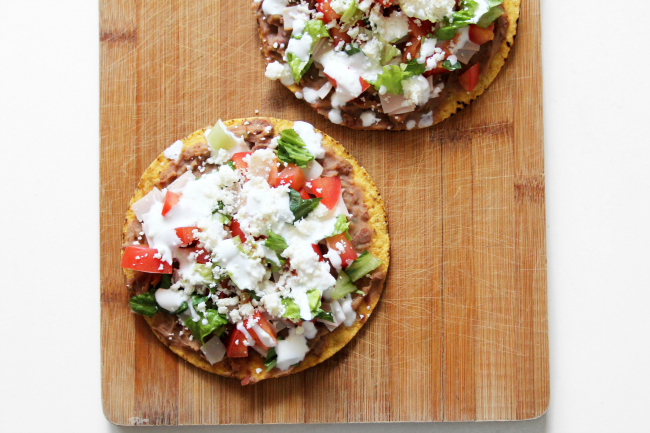 Add beans and all other ingredients to tostada. Enjoy!! A easy, practical and traditional meal to serve your family. I can't get over how delicious these refried beans taste. Each bite it like going back down memory lane. Give them a try and let me know what flavor is your favorite! 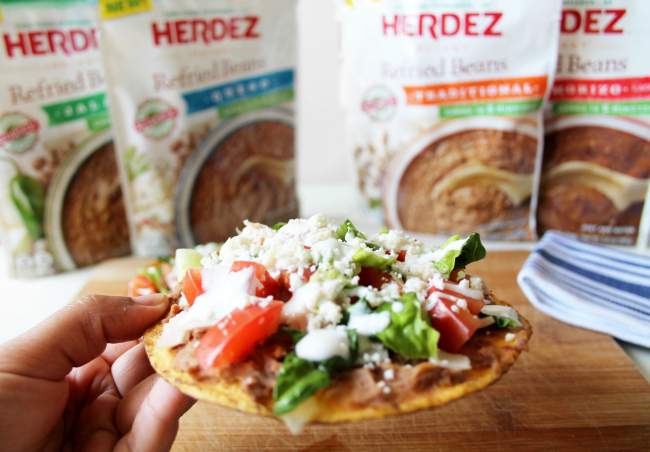 Click Here for more details on HERDEZ Refried Beans!